Now available on Amazon in both hardcover and paperback editions. Newly released from Penzler Publishers’ American Mystery Classics. Also available in e-book (see below) from renowned mystery-book publisher MysteriousPress.com. A remarkable retelling of Sir Arthur Conan Doyle’s great mysteries starring the one man in England smarter than Sherlock Holmes: his older brother, Mycroft. In a quiet village far from the noise of Victorian London, Sydney Silchester lives the life of a recluse, venturing out only when his stores run low. 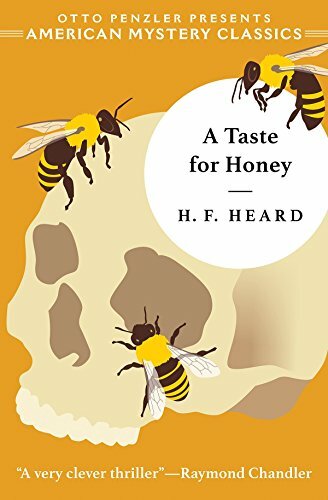 But when his honey supplier is found stung to death by her hive, the search for a new beekeeper takes him to the most interesting man in England—a man whose brilliant mind will lure Sydney into a life-threatening adventure. When Mycroft Holmes learns of the tragic death of the village’s other beekeeper, he senses the bloody hand of murder. But what villain would have the mad intelligence to train an army of killer bees? With Sydney at his side, Mycroft searches the village for a new kind of murderer: one who kills without motive. Author H. F. Heard, undoubtedly one of the great intellectuals of his day, brings an utterly unique detective to life in his Mycroft Holmes mystery series. But just who is Mr. Mycroft? Devotees of Sir Arthur Conan Doyle will find he’s every inch a match for his legendary brother, Sherlock. 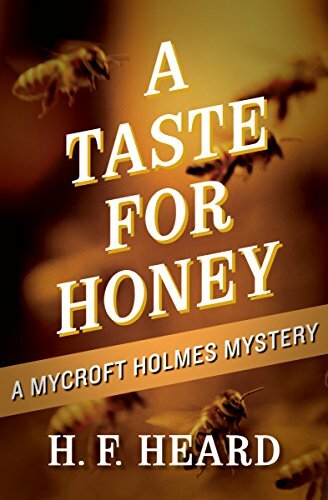 A Taste of Honey is the 1st book in the Mycroft Holmes Mysteries, but you may enjoy reading the series in any order.